A Bike Ride to Mount Misery - Hello, Rummy! 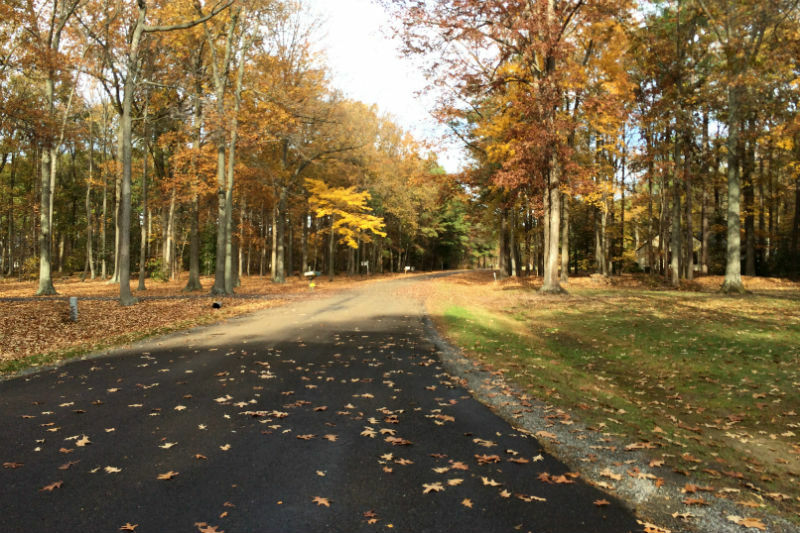 A Bike Ride to Mount Misery – Hello, Rummy! 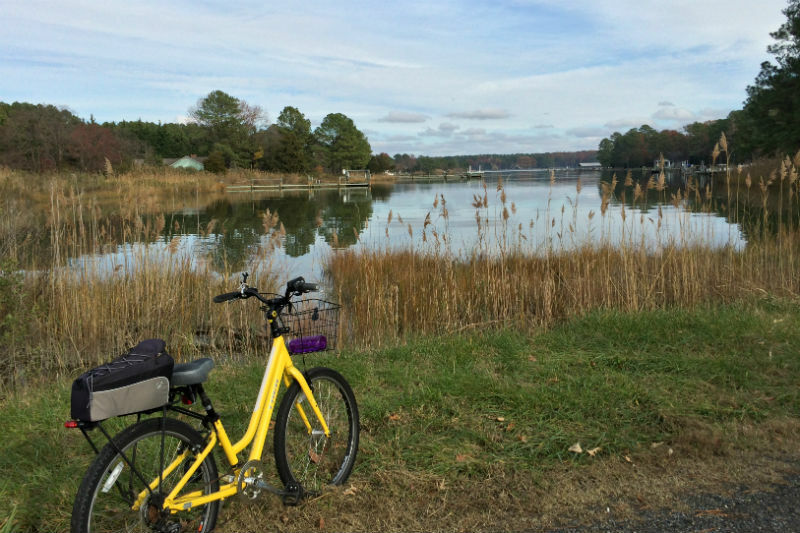 The Eastern Shore has some of the best roads for biking in America. They’re flat, scenic and hardly traveled by motor vehicles. The day after our Travel Hag bike ride through St. Michaels and Oxford I took a solo ride outside of town. Just me and my Trek Shift 1. That’s when I found Mount Misery…. the road, that is. 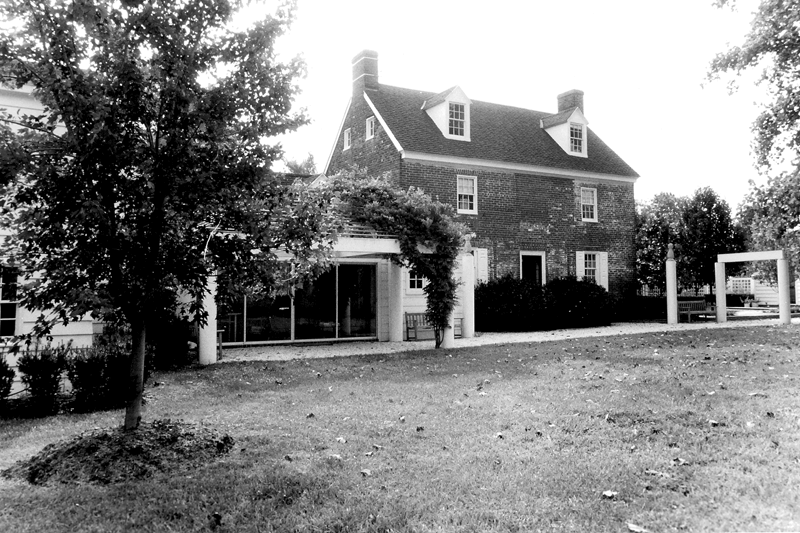 Mount Misery is named for a house built near St. Michaels in 1804. Many houses in the region have names – Mount Pleasant, Martingham, Beverly, Crooked Intention. Mount Misery gained a higher profile than most of its modest neighbors when former Secretary of Defense, Donald Rumsfeld purchased it in 2003. It’s the kind of house a wealthy farmer would have built in the early nineteenth century, a brick Georgian house that sits on a rise (rare for these parts ) with views of a placid creek that runs out to the Choptank River. Waterways were a common mode of transport in those days. 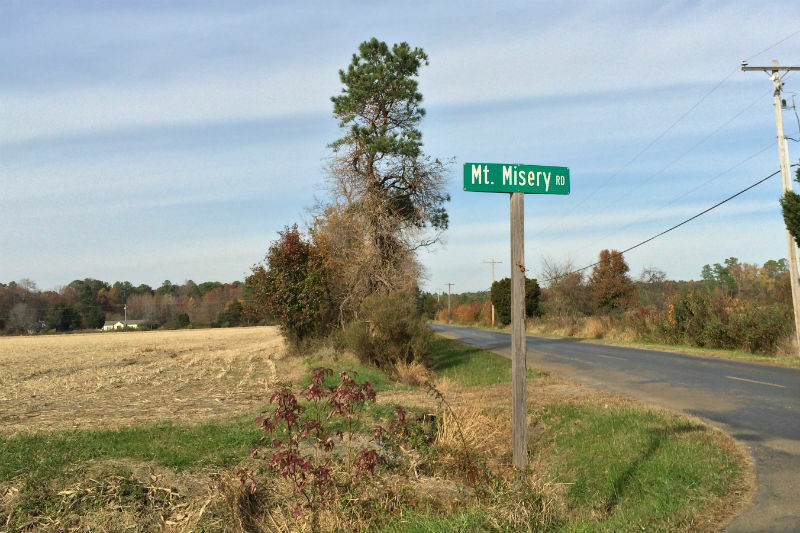 The local legend is that Mount Misery got its name from a former owner, Edward Covey who was a farmer and “slave-breaker.” His house was where other farmers sent their unruly slaves to be “broken” by the violence he inflicted up them… making Mount Misery one miserable place. One such slave sent to Mr. Covey was 16 year old Frederick Douglass – the famous abolitionist. When Covey raised his hands to Douglass in order to break him, Douglass fought back – and won. Frederick Douglass wrote about this fight in his autobiography and elaborated on how it gave him self respect, self confidence and a drive to keep fighting. 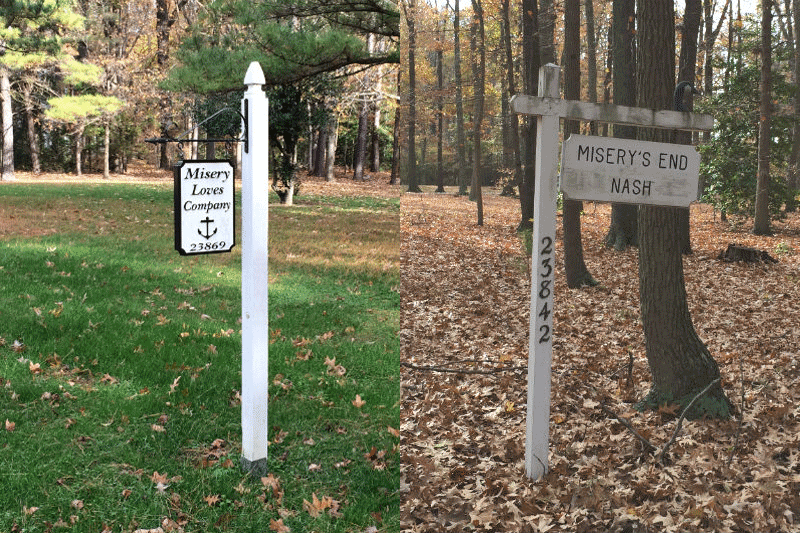 At the end of the Rumsfeld’s private drive is small bronze sign with Mount Misery 1804 denoted next to a small American Flag. Across from it on the other side of the drive is duck house on a pole. Duck houses are big – like 4 times as big as a blue bird house. Environmentalist and birders put them out in the marshes for the ducks to nest in. So the Rumsfeld duck house at the end of the driveway abutting and asphalt road in a neighborhood is a tad out of place. Even an ordinary hag like me gets that it’s an enclosure for a security camera. Note to Rummy — just go with the camera. That duck house looks stupid. A friend of mine who lives in the neighborhood said that kids on the school bus that goes down Mt. Misery Rd would wave and make faces at the camera as it passed the Rumsfelds. No dumb youngsters these. They know where duck houses belong. I was too chicken to snap of picture of it. I’m not really sure what I was afraid of. Maybe it was the embarrassment of having a Secret Service agent pop out of a black SUV to scold me and confiscate my iPhone. Forget that … Rummy is entitled to Secret Service detail. Maybe it was the uneasiness of thinking someone was watching me through that camera. Or maybe something was watching me …. not through the camera – if you know what I mean. There might be more to Mount Misery than meets the five senses. The trail I rode is mapped out on my Mount Misery Bike Ride Google Map. I started at the Chesapeake Bay Maritime Museum, then crossed through the downtown and followed Railroad Ave out to Mount Pleasant which is ironically just across the creek from Mount Misery. I followed the roads that wound in and around the spit of land between Broad Creek and San Domingo Creek. Notice that just off Railroad Ave is a community park with the entrance to a trail that runs along the old railroad bed. That’s also a nice addition to the ride. The whole ride is about 12 miles. Enjoy.